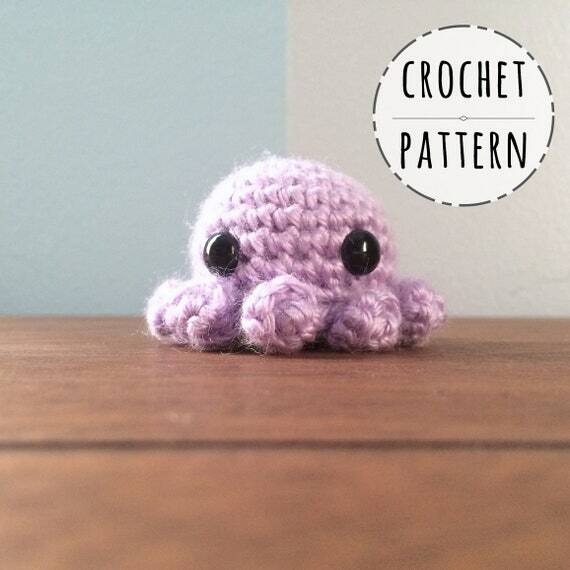 You are purchasing the pdf file containing the pattern for this amigurumi octopus plush, NOT a completed product. He's super cute and cuddly and will become your best tentacled friend, guaranteed! BONUS! No sewing. WOOHOO! This fella is all self contained, so no pesky attaching of limbs and whatnot. Great project for using up scrap yarn or for taking the plunge into the wonderful world of amigurumi.